It may seem counterintuitive that exercise could help people with arthritis and other musculoskeletal conditions, but a new study finds that a low-impact exercise program is improving quality of life for many older adults with these conditions. The program, offered by Hospital for Special Surgery (HSS) in senior centers in New York City’s Chinatown and Flushing, Queens communities, has helped decrease pain, improve mobility and enhance the overall health of many participants. The study, titled, “The Effectiveness of a Low-Impact Exercise Program on Musculoskeletal Health of Asian Older Adults,” will be presented at the American College of Rheumatology/Association of Rheumatology Health Professionals annual meeting on November 9 in San Francisco. Fifty percent of adults age 65 and older have received a diagnosis of arthritis, according to the Centers for Disease Control and Prevention. Previous studies have shown that participation in low-impact physical activity can improve pain, function, mood and quality of life without worsening arthritis symptoms or disease severity. 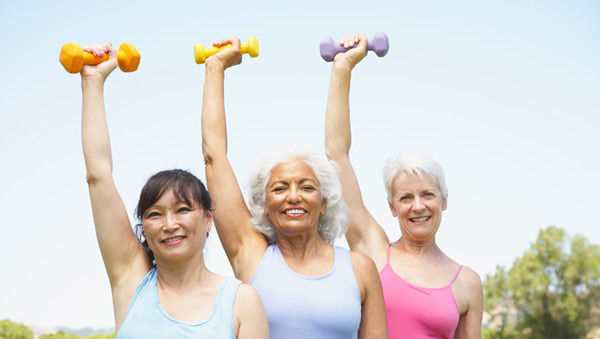 However, individuals with arthritis are less likely to be physically active. The eight-week low-impact exercise program, led by bilingual, certified instructors, is held once a week in community-based organizations largely serving older Asian adults. Between September 2011 and July 2015, 370 individuals took part in the program, and 204 participants completed surveys both before and after taking the exercises classes. Ninety percent of respondents were female, and 76 percent were between the ages of 65 and 84. Eighty-eight percent of participants had a musculoskeletal condition. In the survey, many respondents reported that they experienced less pain and were better able to perform activities of daily living after participating in the exercise program. Participants reported that their muscle and joint pain was significantly reduced by 32 percent.